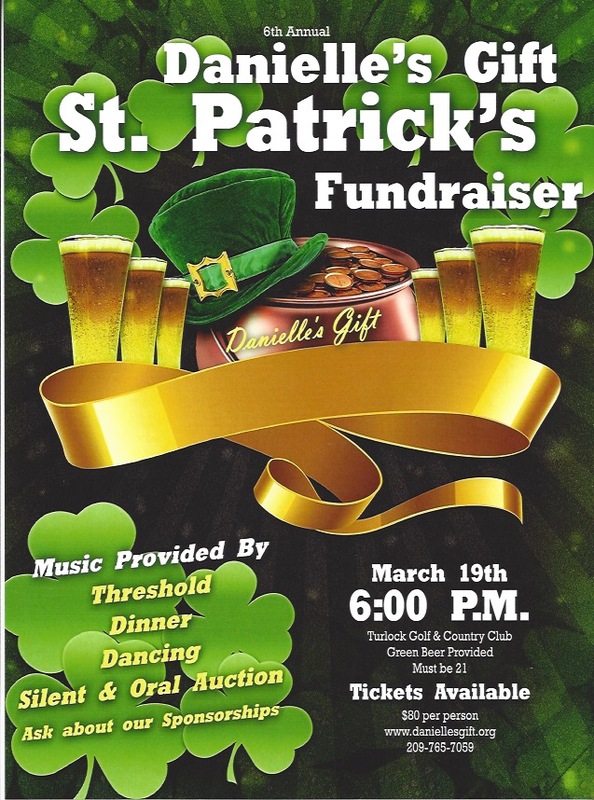 Please join Danielle’s Gift for the 6th Annual St. Patrick’s Fundraiser. 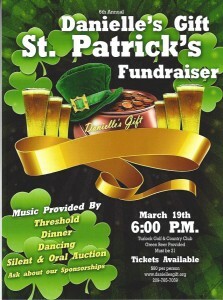 This year is sure to be as fun as ever with dinner, dancing, an oral and silent auction, and live music by Threshold. Tickets go fast so hurry and get yours today. We look forward to seeing you there and greatly appreciate all your support! Please click on the flyer for details. * To purchase tickets, please click on the support tab above and visit our donation page. Make your payment then indicate how many tickets you are purchasing in the “comments” box.